- Awesome Photographer! - I found Meir Photography professional & easy to work with. The communication of our wants was easy and then written down and agreed upon up front. They have a good feel for what works & what does not plus did their job while not being intrusive, which is great! Summary - 1) actively listened to what we wanted. 2) wrote it down to be sure all components were there 3) creative on the scene 4) on time 5) delivered final product in a very reasonable timeframe 6) they were enjoyable personalities to work with Win-win-win! Perfect Engagement Photos! - I cannot say enough about Greg Meir and the engagement photos he took for us this past weekend!!! He perfectly captured our personalities and love. Greg also expertly used the lighting and colors to create simply outstanding shots. The whole shoot was comfortable and fun! Greg and his wife Denise are amazing people, and I am 110% ecstatic with the photos they took!!! The hardest part will be choosing just one photo for our save-the-date :). (Another bonus, Greg finished editing our photos in less than a week, so we didn't have a wait at all!) Thank you Greg!!!!! - I first reached out to Greg due to the great reviews I had read on Meir Photography. We met with him at his home and went over everything, showed us his great work, and gave us a good feeling that we could trust him with our big day! My husband even liked him, which says a lot! We choose to have our engagement pictures done with Greg as well. When our scheduled dated rolled around it was cold and windy and I cried as I knew this wasn't how I wanted them to be. Greg was so awesome about rescheduling to a couple nights later and even thought we would even get a great sunset if we waited until then (which we did!). He took the time and effort to get hundreds of shots and it was easy and laid back which I really enjoyed. The pictures were great! I loved all of them. Everything on our big day went wonderful! We had Greg and his wife so they were able to catch both sides getting ready and hanging out. We had a great mix of formal and fun shots and I really couldn't be more impressed with the pictures. Worth the investment and I am so glad I have the great pictures to look at for years to come. We also did our photo booth through Meir and let me say...best decision ever! I have seen many photo booths at weddings but the open air one we used along with all the props Greg brought made it a huge hit! I love going through our book of photo booth pictures! I had so many people tell me how great our photo booth people were! Highly recommended! 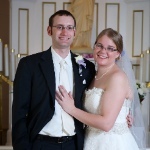 - Nicest, Most Thorough and Reliable Vendor I had on my Wedding Day - Greg and his wife greatly exceeded our expectations on our wedding day. They are both extremely nice people, and very focused on getting not only a lot of great shots, but "the shot". He remained focused the entire time we had him booked for, always looking and thinking of potential spots or photo ideas. He is very accommodating, and will give you the opportunity to fill out sheets beforehand that make it easy to determine and let him know what you do want and what you do want. He's patient with family when they won't listen to calls for pictures, and he even helped me plan out the timeline of my wedding day. On top of all that, he is very reasonably priced. For the price of what some photographers charged (when I looked in my area) for just themselves for 8 hours of taking photos, Greg will do a package where he brings another photographer along to help get shots during the day,she will run a photo booth at night while he finishes up taking pictures at the reception. The quality of the pictures he has are top notch. We had a hard time narrowing down the nearly 2,000 they took to even 200. We love so many of them! Wedding - Meir Photography did an amazing job at our wedding in May. They captured every moment so beautifully! And we got our pictures less than 3 weeks after the wedding. We could not be happier with our choice of photographer and highly recommend Greg and Meir Photography. - Amazing Pictures!! 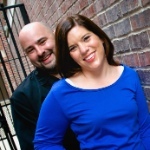 - Greg and Denise were absolutely amazing to work with! The pictures turned out better then I could have even imagined.I highly recommend Meir Photo for any bride looking for a photographer! 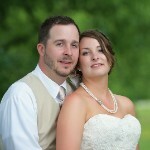 - We used Meir Photography this past March for our wedding. The pictures turned out great! Greg and Denise were super helpful leading up to and on our actual wedding day. Their experience helped the day run smoothly. Denise even helped me get a stain out of my dress caused by my bouquet. I would definitely recommend them to anyone looking for a wedding photographer! - We had the best experience with Meir Photography. They were patient, inventive, and fun with our wedding party. They allowed us to provide ideas and they used their expertise to make the photos even better! Our family and friends continue to compliment our photos. Thank you Meir Photography! 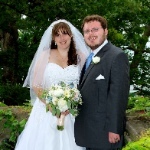 - My husband and I have been so happy with the service we received from Meir Photography! Greg, Denise, and Amy were such a fun team to work with! I wasn't so sure about some of the shots (I thought they were going to be cheesy) but even those turned out so romantic and touching. Greg responded to every email and question in a timely manner, which set my anxiety at ease. He was so helpful with setting a timeline and helping us stick to it on the wedding day. Greg and Denise were my photographers that day and they were wonderful. They coordinated so well and took all of the pictures that I asked them to take. Greg also did my engagement pictures which turned out great too. I met Greg and Denise when I was searching for a photographer and right after that meeting I knew that I wanted to book them. They were so personable and professional. I would highly suggest filling out the paperwork that they send you before your wedding day. It looks like a lot but it worked out perfectly the day of the wedding to make sure that all of the pictures I wanted taken were done and we stayed on track for time. I had a very outgoing wedding party and Greg and Denise managed to keep us all together and focused on getting the pictures completed. I would recommend them to anyone who is looking for a fun and professional photographer that does a great job. - Meir photography did an awesome job taking my wedding pictures! He thinks of very fun and creative shots and we are so glad that we chose him for our special day! 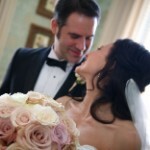 - With all of the choices available to a bride, I could not have made a better one than when I chose Meir Photography. Greg was very professional, yet very approachable and so easy to work with. The photographs of my wedding and reception are stunning. Even though my outdoor garden wedding was held indoors because of rain and cold, Greg made our outdoor photos look absolutely beautiful. My husband and I look relaxed and glowing instead of cold and shivering. Moving indoors for our reception, our guests were already having a great time with the photo booth that was run by his daughter. Although they can provide props, we provided our own to set the tone of our wedding. Some of the shots from the booth are absolutely precious. In closing, I have to say the Greg really listened to our ideas. He was respectful of our wedding theme and the photos, especially the black and white photos, are very representative of the theme. I would definitely recommend Meir photography to any couple or for any special occasion. - Greg was a great photographer!! We had our engagement pictures taken by him just three days ago and already have a very impressive and meaningful slideshow to look at. He is very professional and yet let us have so much fun at our photo shoot. We couldn't be happier with the results and are so excited to have him take our wedding pictures as well!! Thanks Greg! - Initially we chose Meir Photography for our wedding and engagement photos because we felt comfortable with Greg and confident in his work. My expectations were far surpassed once I received copies of our engagement session. They were absolutely perfect! Our first date for the session came with horrible weather and Greg was more than happy to reschedule, which was great. The day came again and the weather was gorgeous--Greg made us feel at ease and feeling like ourselves as he captured some great shots. My fiancé, who is not much of a picture person...or a people person, was impressed with Greg, I think he even enjoyed himself a bit! 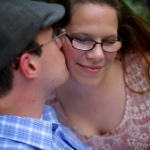 Looking forward to having Meir Photography capture our big day! - Excellent Service! I received some great advice from a coworker saying, "you want to make sure you like your photographer because that is the person you will be spending all day with". Greg and Denise are so likable, so organized, wonderful with timing and getting everyone together. We booked them for our engagement and wedding. Right away he was very professional and straight forward as to what to expect with timing, scheduling and pricing. His style does spectacular lighting. He can flow seamlessly through creative/fun poses and formal. He puts you at ease and is, in the best sense of the word, a perfectionist. The angles, the lighting, the shots-he is an expert and I cannot recommend him high enough. Beautiful work and an excellent person to work with!!! - They are awesome. We got our pictures back in excellent time. He was willing to work with us and do what we wanted. I would highly recommend Meir Photography!!! - Glad We Went With Meir Photography! Our experience with Meir photography was great! First of all, Greg was very accommodating when he first met us at his home studio. We were impressed by the professional atmosphere and the fact that he uses a RAID array to store your pictures! I had no doubts that our pictures would be secure and would not be lost due to hard drive failure. I am a IT professional so data redundancy practices are very near and dear to my heart. 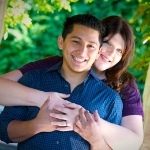 For our engagement pictures, he and Denise met us on-time and at the location agreed upon. We had some great pictures and he was even open to a special goofy picture to be used as a prank. The slideshow provided was very nice and again, Greg was willing to make a small edit to the slideshow for us. For the actual wedding itself, everything went perfectly. 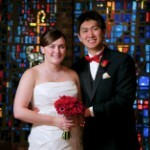 We got some great pictures and Greg and Denise did a great job documenting our special day. Our families mentioned that the photographers did a really good job too! Overall, we're very satisfied. Everything was very professional, prices were reasonable, they kept all promises, and we're very satisfied with the results. We'd definitely recommend Meir photography to others. - Simply The Best! - Thanks to Greg and Denise for shooting our wedding. We just received our photos--breath taking!!! They were everything we could have wanted and more. The pictures are perfect--they have wonderful artistic quality. Greg and Denise know how to capture all the meaningful moments of the day, and took fun pictures throughout the dance we didn't even know they were capturing. They were both very professional and a pleasure to work with. All of our guests loved the photo booth as well. I have no complaints-- the best decision we made in our wedding--we will cherish these memories and pictures forever. Thanks Greg and Denise. We loved sharing our day with you! 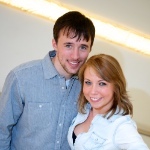 - Greg and Denise arrived on time and were very fun yet professional throughout the session. Both Greg and Denise had great ideas for ideal backgrounds for our pictures and we are thrilled with the results. The photos were edited and sent to us in about a week. We're so glad we have them for our wedding in May of 2015! - Perfect Way to Capture Our Perfect Day! - Meir Photography was fantastic! Greg and Denise were wonderful and focused on us (the bride and groom) the whole day! They captured the day perfectly and while we were on our honeymoon Greg emailed asking if he would post pictures to facebook because he already had over 100 photos edited! We are so excited to get our Scrapbook of the day that they put together for us! 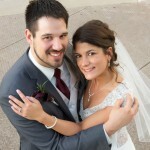 Meir Photography was one less thing to worry about day of because he had a list of photos we wanted, and he took them! The photos are great! The people are wonderful and professional! Engagement Session - Amazing photographs! It was a great time taking the pics and an even better time getting the photos back. Greg and his assistant made the day a walk in the park (literally!). We were very comfortable and took many pictures in many different locations which Greg was happy to accompany. I cannot wait for him to take our wedding photos. - Awesome! 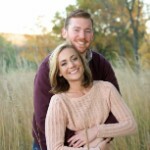 - We are thrilled with Greg and Denise and our entire experience with them--from the initial meeting, to the engagement session, and throughout our (very long) wedding wedding day. Greg's energy, creativity, and ability to make everyone feel at ease, made for an incredibly positive experience for the very camera-shy bride! Additionally, our guests (of all ages) LOVED the photo booth and it was a total hit during our reception! 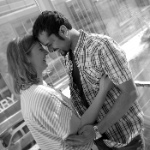 - Outstanding Engagement Photos at The Overture Center! 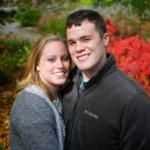 - We hired Meir Photography for our Engagement and Wedding photos. After the engagement photo session, my fiance and I were very pleased with the work that Greg has done. Greg is a very personable and laid-back guy with wonderful ideas. He truly loves what he does, and it shows in his work and personality. He made us feel very comfortable during the photo session and had many creative ideas. We are very excited to have Meir Photography take our wedding photos this summer. 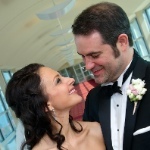 Additional side note: Taking engagement photos at the Overture Center in the wintertime was amazing as well. I would highly recommend it as the weather is so unpredictable. - Incredible Engagement Session! 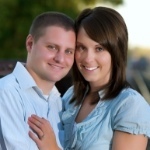 - We were very pleased with our engagement session we had with Greg this week. He is very easy to work with and made us feel very comfortable the whole time. He had a lot of great ideas for artistic shots and thought of so many creative ideas to compliment our shooting location and our style. I can't say enough about how great the photos turned out and how well everything went. I would highly recommend Meir Photography to anyone looking for a great wedding photographer. We can't wait for Greg to photograph our wedding this summer! - Meir Photography Rocks! - We just got our engagement portraits back from Meir Photography, and we couldn't be happier! We LOVED working with Greg at our portrait sitting - he was very professional, but also made us feel extremely comfortable. He also mixed it up and we ended up with a perfect balance of more posed, formal shots as well as more artistic, unique photos. It will be extremely hard to choose which prints to order... we're so glad that Meir Photography gives its clients the digital rights so we have unlimited access to ALL of the photos! Thanks so much, Greg, and we can't WAIT to have you shoot our wedding next summer! 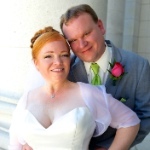 UPDATE: Greg & Denise did a fantastic job at our wedding on July 5th, as we knew they would! I was a little concerned about how our family portraits would turn out since Greg only took one shot of each, but I should have known I had nothing to worry about - they ALL turned out beautifully! I really appreciated all of the different viewpoints and candid shots we were able to get with having two photographers during the ceremony and portrait sessions. My ONLY regret is that we only booked Greg and Denise for eight hours - we had them from 1:00-9:00, and our dance got started a little later than we had anticipated. They did such a great job capturing our first dances that we wish we would have had them for a little longer during the reception. - My finance and I just had our engagement session with Greg. We had a great experience with him--he was fun to work with, creative, and made us feel comfortable. I was impressed with Greg's attention to detail and the fun way he finds places to take pictures. You can truly tell he loves his job and is committed to tailoring the pictures to the bride and groom's preferences. 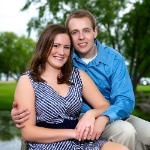 We love our pictures--can't wait to see what he and his wife does on the wedding day! - Great Photographers! - We hired Meir Photography for our wedding and couldn't be happier. He and Denise were both wonderful. They got great photos, were easy to work with, and helped us coordinate things to be sure that we could get all the photos that we wanted. They were with us all day and captured everything without being intrusive. From posed formal photos to fun casual snaps to more artsy creative shots, I feel like the whole wedding was well photographed. Meir Photography was on time with getting us our set of wedding photos. You hear about couples waiting months and months and photos often getting delayed, but with Greg we had our photos in less than one month. We also received a lovely and creative slideshow that we could share with our friends and family over the internet. Greg seemed to always go beyond expectations - visiting our venue ahead of time to scope out photo locations and setup information, arriving early for setup, spending extra time with us to get those perfect shots. Greg was also able to provide us with a few photos almost immediately after the wedding so we could use them in our thank you cards and not have to wait to send those. We also hired the photobooth from Meir Photography and it was the hit of the party. A great value - reasonably priced - and the equipment took really high quality photos. Everyone loved it and had a blast! We received a guestbook from the photobooth that we will truly look at over and over. Package pricing was good - very reasonable for the market. I feel like we got a very good value for the money we spent. - Great Photos! - Meir photography did a great job for our wedding. 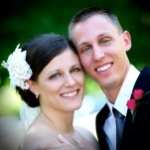 Greg contacted us throughout the planning stages to ensure he had everything needed for our big day. This helped us think of all the photos we wanted prior to the wedding. And during our wedding, Greg and Denise did not miss any details that we asked for; even last minute ones. They are also very fun to work with. But the best part was the photos! All of the shots captured were amazing. I would recommend Meir Photography. - Beautiful! 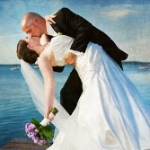 Greg and Denise did a wonderful job photographing our wedding day! They were reasonably priced, professional, creative, and fun to work with! Greg made sure that we got all of the shots that we wanted and did a great job capturing pictures of our guests throughout the evening. We just received our pictures back (less than a month after our wedding - wow!) and they are GORGEOUS! It will be hard to pick out which ones we want printed! We would definitely recommend Meir Photography to anyone looking for quality wedding photography. Thanks, Greg and Denise! - Greg and Denise Meir were great! We loved having 2 photographers all day so the things we were missing, we got to see later in all of our action pics! We were pleasantly surprised with the amount of pics we had to choose from!! 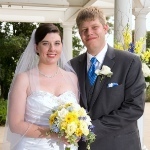 They were fun, nice, and very accommodating to us and everyone that was at our ceremony. Also, the photo booth was a HUGE hit with everyone at our reception!! - We Chose Wisely! - Meir Photography is proving to be a wonderful choice so far! 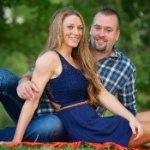 We had our engagement photo shoot a few days ago, and we are very impressed with the images Greg captured, as well as the timeliness of receiving links and hard copies of our images. I couldn't believe how quickly we got the discs in the mail, and in such a beautiful case. Greg goes above and beyond when it comes to all of the little details, offering touches we never would have even thought of. He was fantastic to work with, making us feel comfortable and super special. If these are the results from an engagement session, we can't wait to see what he does on "the big day"! When searching for a photographer to capture this special time in your lives, don't try to do any short cuts. Memories can fade over time, pictures help to revive those moments. - Back for a second review after viewing the rest of our pictures online. They couldn't have turned out any better! They truly captured the story of our day. 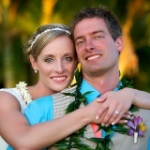 Greg and Denise are easy to communicate back and forth with through email & phone calls, which isn't always the case, especially during the busy wedding season! Greg shares some pics on Facebook (with permission) so you get to see some a little earlier. The photo booth that they brought to the reception(which was FREE with our package) was one of the highlights and those pictures were also saved in our online album! I would recommend Meir photography to anyone for their wedding. They were so much fun to work with and I can't wait to see all of the pictures in our photo book (once we can finally decide which ones to use) to relive our day! 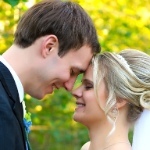 - Our experience with Meir Photography was really great! Greg and Denise were wonderful to work with and really guided us through the day and made sure that I was calm despite the heavy rain during my outdoor ceremony. Our pictures turned out really well, even with the overcast and rainy day! We would definitely recommend Meir Photography to anyone looking for creative, vibrant and beautiful photography for their wedding day. - Greg is a great photographer - he is obviously very passionate about photography but also seems to love working with the people he's taking pictures of. My fiancé and I not only had a fun time taking our engagement photos with Greg, but we also loved our photos, and received the photos so quickly! We can't wait for the wedding and to have Greg capture our wedding memories! - Very Fun and Detailed! 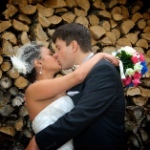 - My wedding was about a month ago and Greg and Denise were wonderful with their shooting. They were very patient with me when we started to run short on time (stupid road construction detour) and helped me still get the shots that I wanted while doing it quickly. Greg cracks jokes a lot, which ended up being great for some laughing candids. He looked at every picture after taking it to make sure it was good and re-shot them if necessary. We didn't have a 5k budget to spend on pictures, but I still wanted them to be something worth looking at 50 years from now, and I really couldn't be happier. I definitely got my money's worth and would recommend Meir Photography to anyone I know looking for a photographer. - Deciding on Meir Photography was the best decision my fiance and I made! We just had our engagement photos taken yesterday and I have already received an email with a link to view our photos! They all look spectacular. I am so excited to look them over with my fiance. I can't wait to shoot with them for our wedding coming up in November. We had so much fun, Greg and Denise were so great, they helped us relax and just have a great time! Such wonderful people and I would recommend them to anyone who is looking for a wedding photographer in Madison! - Greg and Denise Meir were AMAZING! We loved having Greg and Denise do photography for our wedding! They are both so friendly and funny, and Greg had us laughing the whole time. We just received our wedding photos, and they turned out amazing! We feel really lucky to have found Greg, as his services were extremely professional and turned out great, while at the same time, extremely affordable. 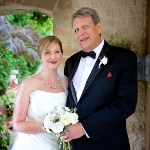 I would definitely recommend Greg to any other bride and groom, as he did a wonderful job with our wedding! Also, we did have the photo booth, and were so happy with the results. The album was priceless, as many of our family and friends took some wonderful photos, and then were able to write us notes and jokes. It is something we will treasure for the rest of our lives! Thanks Greg and Denise- you're the best! - Meir Photography is AWESOME! 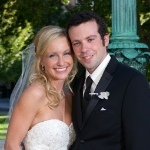 I cannot say enough about Meir Photography - Greg and Denise were beyond what we expected. They are very professional and attentive to you. They are very flexible and work to get whatever shots you want. The quality of their pictures are outstanding, and we have received so many compliments and inquiries on our pictures already. A lot of people have said to us that our pictures are some of the best wedding pictures they have seen. I would highly recommend them. They are well worth the money, and also are financially very reasonable. They are very hard working, and creative, and you can really tell that they love what they do. - WELL WORTH IT! It has been great to work with Greg Meir Photography. We had a personal meeting prior to signing a contract and we were able to see everything that he would be able to with our photos. This is obviously a passion of his and he does wonderful work. He paid attention to our budget and was able to work our a contract that fit what we were able to spend. When scheduling the engagement session, he was very accommodating to our schedules and listened to what king of photos we were hoping for. The photos turned out to be exactly what we had hoped for. We are looking forward to him photographing our wedding in September. - Engagement -Greg and Denise were fabulous! Tons of fun to work with, took lots of pictures and the images are beautiful!! I CANNOT WAIT to see what he'll do with wedding pictures next year! So easy going, right on time, and very flexible. He even let us have our dog in the shots when we wanted it. Wedding - AWESOME Updating this, now that the big day has come and gone. Greg and Denise were incredible at the wedding! On time, professional, creative. We had a list of photos we wanted, and he did a better job than I did trying to make sure we got them all. Big nasty rain clouds were looming on the day of the wedding, so we were in a time crunch to get everything done (outdoor ceremony and photos) - he was efficient and we got ALL the photos we wanted. He even captured my grandma smiling naturally, which is really tough to do. We just got our wedding photos and they are 100% better than we could have ever dreamed of. His use of lighting is fabulous, everyone looks wonderful and the photos are to die for. Greg and Denise captured all the important moments (and then some! ), and all the details - even those I forgot to ask for. Our biggest complaint now is that we're having an impossible time just picking a few for the walls! :) If I could do it over, I would definitely hire Greg and Denise again. I HIGHLY recommend their photography over anybody else in Madison. Thanks Greg and Denise! 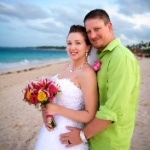 - Destination Punta Cana - Greg and Denise are an AMAZING husband and wife team! They flew to Dominican Republic to photograph our wedding at the NOW Larimar Resort. 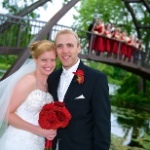 Then once back home in Wisconsin they came to Wisconsin Dells to photograph our reception at Trappers Turn Golf Course. We took full advantage of their fun and kooky photo booth and kiosk. We would recommend the kiosk to all couples as it gives your guests the ability to email the photos from the photo booth directly to their email address! What a WONDERFUL idea! We loved how open to suggestions there are and how creative they were as well! We have so many breathtaking photos that we have no idea how we will ever be able to narrow them down to make an album! :o) Thank You Greg & Denise for EVERYTHING! You two are OUTSTANDING!! - Meir Photography provided excellent customer service with a great attitude and amazing quality photos. Greg and his wife are fun to work with and made our wedding day enjoyable. This photographer allowed us to stay within our budget without sacrificing quality. Highly recommend. - AWESOME - Greg and Denise really seemed to take lots of time to make sure to get the pictures they wanted they also were trying new pictures and made it fun! They were very nice people and easy to work with! Engagement Session and Married 9-1-12 - WELL WORTH IT! It has been great to work with Greg Meir Photography. We had a personal meeting prior to signing a contract and we were able to see everything that he would be able to with our photos. This is obviously a passion of his and he does wonderful work. He paid attention to our budget and was able to work out a contract that fit what we were able to spend. When scheduling the engagement session, he was very accommodating to our schedules and listened to what kind of photos we were hoping for. The photos turned out to be exactly what we had hoped for. We are looking forward to him photographing our wedding in September. Married 6-15-12 - Fun, Personal and Professional Greg was AMAZING for our wedding. He and his wife were so fun to work with, let us try out some fun ideas that my husband had for pictures and encouraged us to be ourselves the entire time. The pictures turned out wonderful, better than I could have ever imagined, and Greg and his wife were so professional throughout the day. I even had a guest that told Greg she couldn't be in pictures and he went out of his way to make sure he didn't catch her in any. Thanks so much for making our day so amazing and giving us pictures to cherish forever Greg! - Beautiful Engagement Photos! We are so happy with our engagement photos and cannot wait for our photos to be taken at our wedding in November! We have so many beautiful pictures and what we really liked was the different backgrounds and poses we were told to do. The pictures truly turned out amazing! Awesome Engagement Photography! My fiance and I had our engagement session a week ago and already have pictures! Greg was very nice to work with and made us comfortable right away. He incorporated all of the things we wanted for our pictures and picked a beautiful location. He has a great eye and took full advantage of the elements around us. We've received many compliments on our pictures. We alone had about 20 favorites. I can't wait to work with Greg and Denise at our wedding. We have full confidence the pictures are going to be amazing! 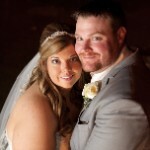 Married 9-8-12 - Meir photography did a fantastic job at our wedding! 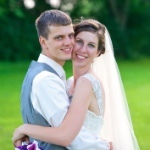 They were on time, took great photos, and returned the photos to us in a timely manner. We also highly recommend the photo booth at the reception! Married 9-15-12 - Very flexibale. Will do exactly what you want and makes sure all the pictures are done right. Very easy to get a hold of and keeps in touch with. I would very highly recomend this photographer. Married 9-22-12 - THANK YOU MEIR PHOTOGRAPHY! We couldn't have been more pleased with Meir Photography. 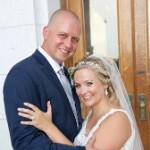 Greg & Denise did a wonderful job capturing our special day and we LOVE the pictures! We shopped around for Photographers, but as soon as we walked out of our initial meeting with Greg, we knew that we had chosen our Photographer. They are very accommodating, responsive, professional, and of course take amazing pictures! 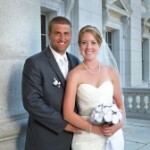 Married 6-8-12 - Meir photography was fantastic, I loved the results. They were very kind and flexible on our big day and always stayed positive even though it was really hot outside. Married 8-18-12 - We hired Greg for both our wedding photography and our photo booth. Throughout the entire process, Greg was friendly, professional, and quick to respond to any e-mails. While shooting photographs, he was really great at making everyone feel comfortable. Greg's work really stood out because of the small extras. For example, he provided materials for our guests to make scrapbook pages of photo booth strips and messages. Then, he assembled the scrapbook for us. They also made a video slideshow of the photo booth highlights. We are still waiting to see our wedding photographs, but I have no doubt they will be of excellent quality. 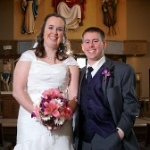 Married 8-25-12 - Wonderful photos! One of the best decisions we made while planning the wedding was picking Meir Photography. Greg and Denise were great to work with and Greg's pictures are amazing! The engagement picture session was a ton of fun and they were excellent at the wedding. It was so exciting to look at all the wedding day pictures and I can't wait to get some up on the wall! Married 8-4-12 - Choose this Photographer-he is the best! I was extremely impressed with the work of Meir Photography. Greg was extremely professional, creative, timely and flexible. From engagement pictures to our wedding preparation, wedding day, and wedding pictures everything was amazing. He was the best professional that I worked with for our wedding. If you want a creative, professional and fun photographer I would definitely recommend Meir Photography. I think his packages are worth the money as you get much more than other photographers I researched. I have absolutely no complaints about our experience with Greg. 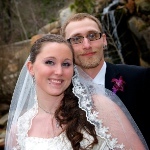 Married 12-29-12 - Great personality, very professional. I enjoyed having Meir Photography for my wedding. Didn't have to worry about a single thing. I don't think I even noticed them at all that day. Just recently got our pictures from them and they are amazing. I would recommend them to friends, family, anyone. Married 6-4-11 - Greg and Denise were so wonderful to work with. 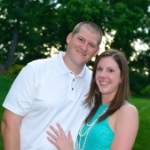 Greg was so responsive throughout the entire planning process and very eager to help. Michael and I were so pleased with the work that they did on our wedding day and making sure that they got all of the shots that we wanted. The quality of their photos are just great and our guests have said the same. I can't wait to get some of the photos framed and know that they will make us smile for many years to come. Thank you again Greg and Denise!!! We are truly glad that we came across your company! Married 6-25-11 - Great Photos - Greg and his wife did a great job at our wedding. They were very reasonable priced and very flexible in their accomodations. 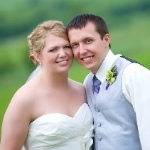 The pictures turned out great and the products we received from them were top-notch! At the wedding they made us feel comfortable and were very professional. 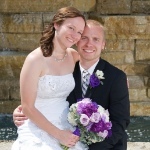 I would highly recommend them to anyone looking for great pictures! 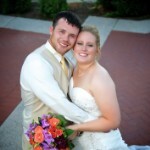 Married 7-29-11 - Meir Photography is a wonderful choice! I couldn't be happier with choosing Meir Photography for our wedding! 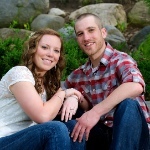 I currently don't live in Wisconsin and Greg was very accommodating and wonderfully easy to work with over the phone and emails, which helped to decrease pre-wedding anxiety for me! On the day of the wedding, Greg and his wife, Denise, were really fun to work with. They did such a great job of capturing the day and were open to doing any of the ideas that I had in mind as well. I was pleasantly surprised how fast Greg was able to get the proofs to me and the pictures were so beautiful! They were exactly what I was looking for in my wedding photos and he even put together a really neat slideshow that captured a lot of the special moments of the day. I would highly recommend Meir Photography to anyone! Greg and Denise were so wonderful to work with and the the work they do is very professional and beautiful. I couldn't have asked for anything more from a wedding photographer. Married 8-13-11 - Meir Photography is Great! Thank you to Greg and his wife for capturing our wedding day perfectly. The packages were reasonably priced - everyone will find something to fit their budget. We selected Greg because the samples he showed us were strikingly beautiful and we haven't been disappointed with the photos he took on our wedding day. Not only were we impressed by the quality of Greg's work but also his professionalism and the ease of working with him. Married 7-16-11 - Thoughtful & Creative My husband and I are so glad that Greg and Denise shot our wedding! They had so many fun and uniqu ideas! Our close up formal pictures are classy and beautiful. They both improvised on ideas that we had also. Our wedding was on 1 of the hottest days last year and they were patient and stayed "cool" the whole day! 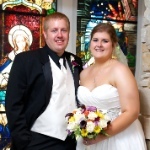 Married 6-11-11 - Greg was extremely professional and helpful throughout the entire wedding experience. He was also very open to our ideas and handled the wedding-day photography just the way we asked. Great to work with and great value.....would highly recommend him to any couples out there! 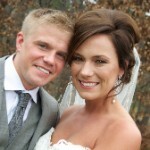 Married 10-21-11 - Greg and Denise were awesome. They captured all the photos we asked for and much more. Greg's work is like a piece of fine art. He is very creative and does very high end work. Our wedding photos turned out absolutely beautiful. They visited our venues in advance and were very organized and prepared to lead our group throughout the entire day. Very pleasant to work with. We could not have had a better experience!